Actors like Saif Ali Khan and Mohnish Bahl didn't find cricket or the Indian Navy as enticing as the acting world. They chose to step into the shoes of different characters and face the arclights like their star mothers Sharmila Tagore and Nutan instead of pursuing their father's professions. Bollywood has been giving hits after hits in the past few years. This success rate of films has led to actors hiking their fees. So after much digging into the Bollywood gossip circles our sources found out the pay-slips of the A-listers for one film. Here is the list for you! It goes without saying that a well-made romantic film can make your day. “2 States” made mine! The movie came as a respite! A lot of accomplished actresses chose to marry men who were already taken. Rani Mukerji, who married Aditya Chopra in Italy recently, is also one such name. Here is a list of all those actresses who chose to become second wives. The 16th Lok Sabha elections are underway and actresses like Jennifer Winget and Deepika Singh sat that once the new government comes to power, it should work towards education for all, security for women and eradication of child labour. 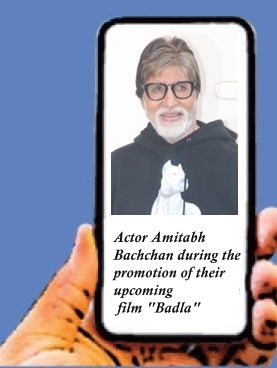 Election fever has gripped not only the common man but also the showbiz and it was clearly evident from the support shown by various celebrities from Bollywood and television industry to the Aam Aadmi Party. Bollywood's first couple Abhishek Bachchan and Aishwarya Rai celebrated their seventh wedding anniversary April 20th. It wasn't love at first sight for this couple but when love happened, it grabbed headlines like none other. SPECIAL: Heart break for small screen couples, almost ! The small screen has given birth to a lot of real life love stories and most of them have went on to end in marriages. But the glamour world also takes away a lot and affects their personal life. Lately, there were rumours of some TV couples thinking of separation. Here are a few such jodis.